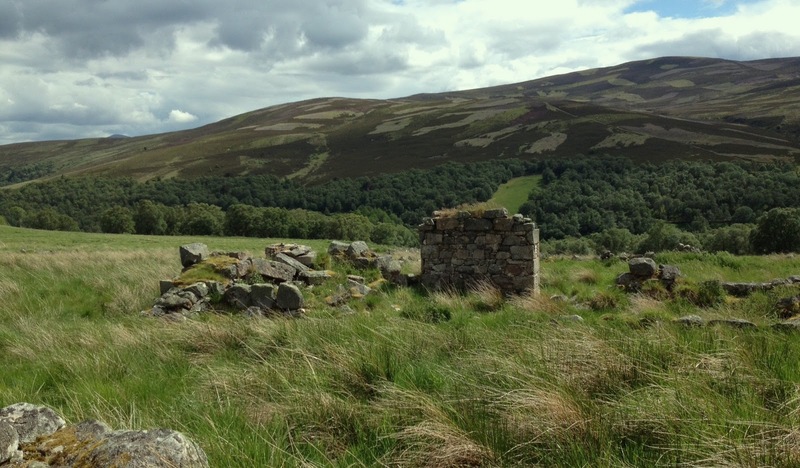 Last year I wrote a post about Ardoch, an abandoned Catholic village in the Scottish Highlands from whence my forebears came (see Lamont genealogy and the lost hamlets of Glengairn, Aberdeenshire). 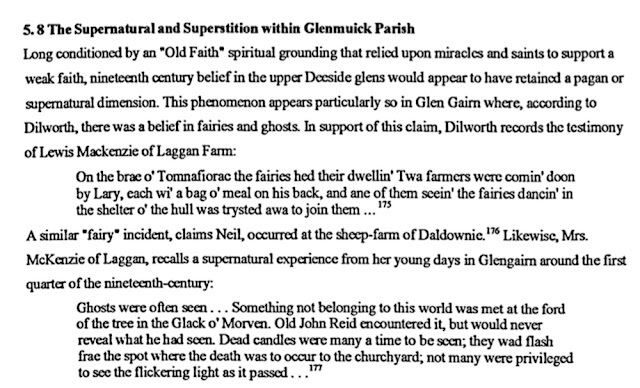 Since that post, I have conducted additional research about Ardoch and Glengairn which I will share below. 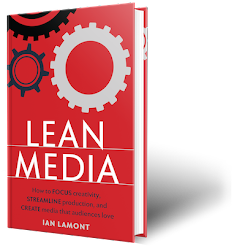 Genealogists interested in researching Lamont, Michie, McIntosh, or other Glengairn families are welcome to contact me at lamont -at- sloan dot mit dot edu. "The whole of the Braemar area was a catholic stronghold (as also was Glen Gairn) right up to the 1745 uprising and I would be surprised if the Braemar Lamonts were of any other persuasion. I know that there was persecution of Catholics taking place in Braemar is 1785 as the priest was then living in a remote cottage at Inverey, and again in 1822 the Catholic School moved from Braemar to Inverey for the same reason." Father Lachlan McIntosh's house in Ardoch, Glengairn, now in ruins. 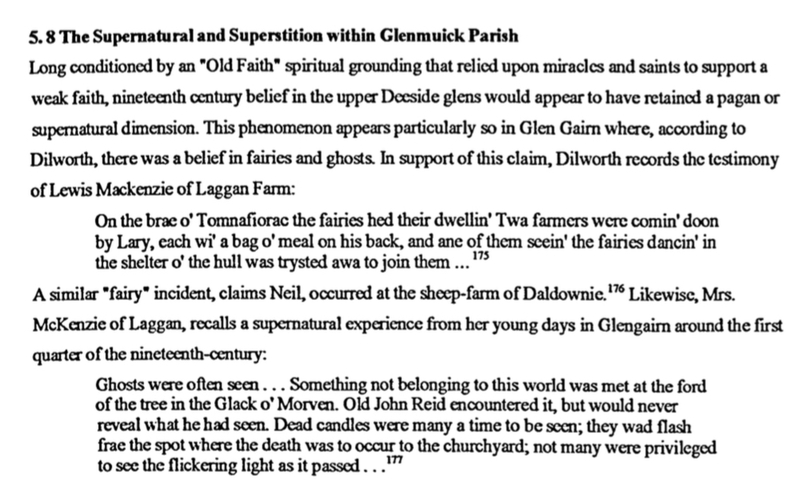 Large Catholic landowners selling their holdings in and around Glengairn. A shift from small farms operated by tenants to consolidated farms and large-scale sheep grazing. The expansion of “deer forests” and hunting grounds for aristocrats/gentry. Increasing availability of emigration options, especially to Canada and Australia, with a corresponding rise in emigrant communities overseas. Many Highland crofters were cleared from their homes. Some found employment on the sheep farms or aristocrats’ estates, while others moved to other parts of Scotland and England. But many emigrated overseas, encouraged by relatives and friends who had already moved, as well as by advertisements that celebrated the opportunities available to hard-working Highland folk. Free passage was offered to people emigrating to the British colonies in Canada, Australia, and New Zealand. Passage to the United States was inexpensive. For the families who boarded the ships, the lure of cheap land and freedom of worship must have seemed very appealing. Unlike most of the rest of the Highlands, Aberdeenshire was never included within the scope of the Crofters’ Holdings (Scotland) Act 1886 because the powerful lowland landowners refused to countenance such a move. As a consequence, vast swathes of the Highlands in the non-crofting counties have lost their people, their language and their culture as the tenants of the land were never more than one year away from eviction. This includes the “other” Ardoch which features on the cover of my book, The Poor Had No Lawyers, more images of which can be seen at James Dyas Davidson’s portfolio here. Had things been different, highland Aberdeenshire might today be home to a thriving gaelic culture. 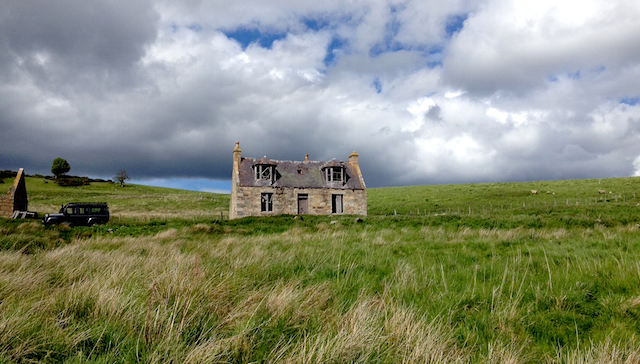 Places like Ardoch would be occupied by crofting tenants with secure, heritable tenancies. As a result of this failure to provide legal protection to tenants, Deeside Gaelic is now extinct and Ardoch was put on the international property market by Savills on behalf of Invercauld Estate last year . It was sold earlier this year for £212,500. Our line starts with John Lamond married to Mary Farquharson both from Braemar about 1700. Our 6th Great Grand Parents. We have no parents for John or Mary. Their son: Alexander Lamond b 14 Sept 1724 in Crathie & Braemar and married to Margaret Fraser on 2 Dec 1752 in Braemar. No parents for Margaret. Their Daughter : Mary Jane Lammond b 1874 West Derby, Liverpool and died 1931 in West Derby, Liverpool and married to Charles Colebourn b Dec 1871 in West Derby, Liverpool and died 1935 in Liverpool. I have the continuation of the line back to me if needed. Hoping for find related peoples to share information with.